The story of my Nutcracker collection. This weekend the Nutcrackers were busy going out to dinner. On Saturday night they stood proudly at a table set for eight lovely people. And enjoyed a festive evening. Now they are home for the holidays and standing on the top of my cupboard filled with tea cups. 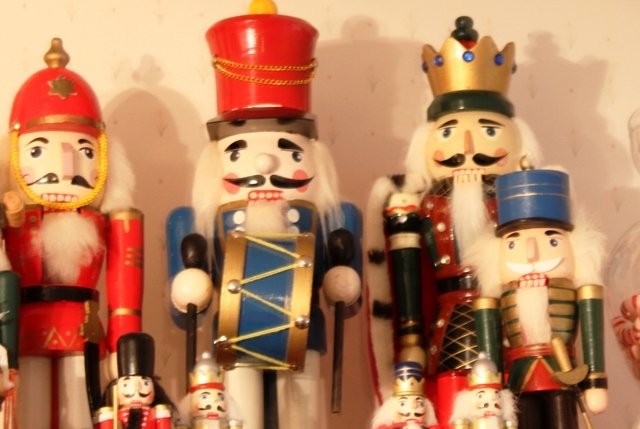 The large Nutcrackers were Christmas gifts from my children and husband. Maybe 30 to 35 years ago. 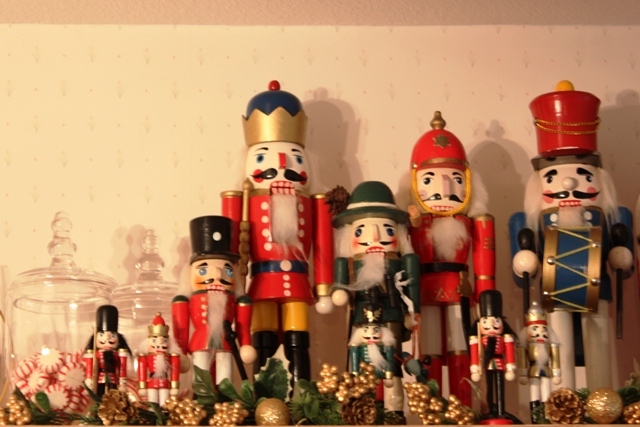 The little Nutcrackers I found at Michaels craft store for a dollar each. I thought they would fill in my Tablescape nicely. I will share the photographs in my post on Thursday. 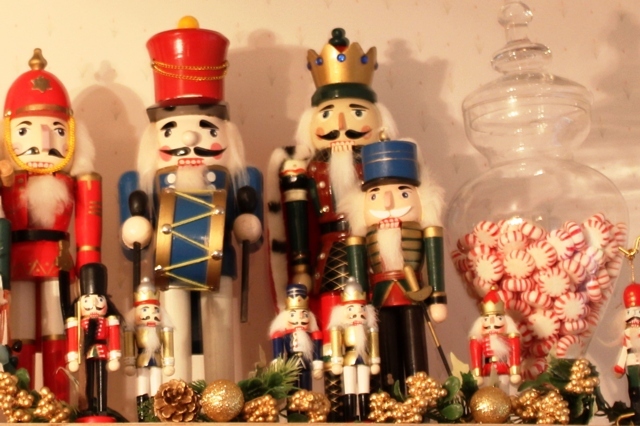 I think Nutcrackers and candy symbolize the Holidays, so I added some red and white candy to my vignette. 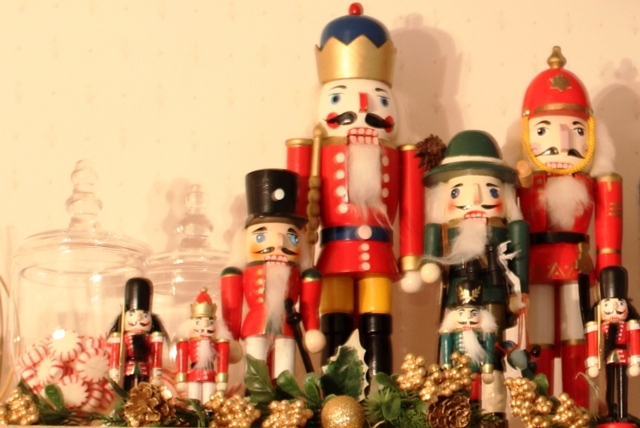 When I see Nutcrackers displayed I think of the 'Nutcracker Suite' and how beautiful the ballet is performed and what a wonderful story it is. I am so happy you are visiting My Cozy Corner today. 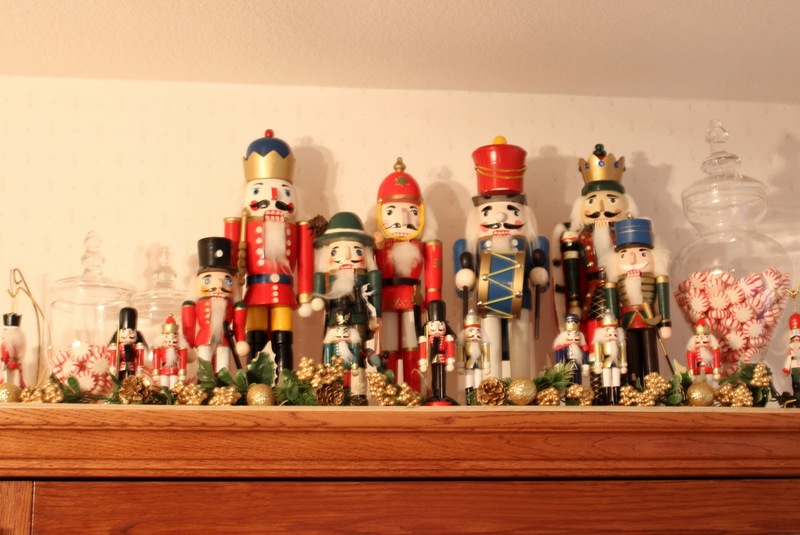 Oh, Betty...I'm so happy to see your Nutcracker collection and know that you have collected them for so many years. I started my GrandGal a collection on her First Christmas and have added to it every year...she's now 16 and displays her collection every year at Christmas. I hope she enjoys hers as you have enjoyed yours! Great TableTop post!